The Public Prosecution Service (PPS) has today issued a decision to prosecute a former soldier, identified as Soldier B, for the offence of murder in relation to the death of a teenage boy in 1972, and for a charge of wounding with intent in respect of a second youth. 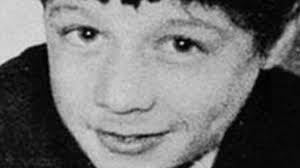 Fifteen-year-old Daniel Hegarty was shot and killed by a member of an Army patrol on duty in the Creggan area of Derry on July 31, 1972, during what was known as ‘Operation Motorman’. “As with all cases, I have also carefully considered whether the public interest requiresprosecution through the courts. Particular consideration was given to Soldier B’s ill health, regarding which an updated medical report was obtained. In line with our Code for Prosecutors, I have concluded, given the seriousness of the charges, that the Public Interest Test for Prosecution is met. I have therefore taken the decision to prosecute an individual identified as Soldier B for the offence of murder in relation to the death of Daniel Hegarty and for the wounding of Christopher Hegarty. Posted in Misc and tagged Daniel Hegarty, PPS Northern Ireland, prosecution, Soldier B at 3:28 pm on April 15, 2019 by Bodger.